Trump’s former chief strategist to be interviewed by a House committee investigating alleged Russian interference in 2016 election. 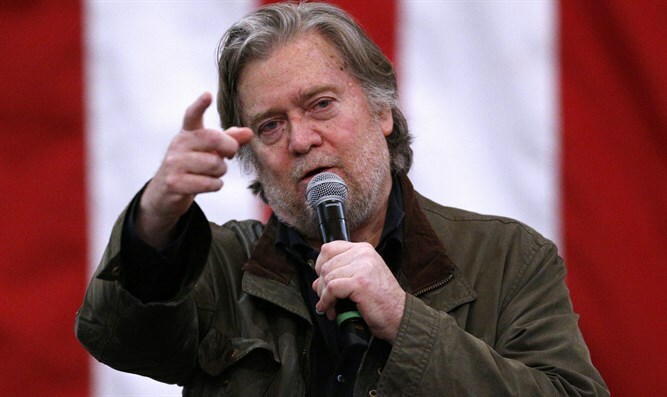 U.S. President Donald Trump’s former chief strategist Steve Bannon will be interviewed next week by a House of Representatives committee investigating alleged Russian interference in the 2016 U.S. election, a person familiar with the matter said on Thursday, according to Reuters. The interview behind closed doors on Tuesday with the House Intelligence Committee will focus on Bannon’s time on the campaign, not the transition or his time in the White House, the source said. Although Bannon was fired from his White House position by Trump in August, he had been a close Trump associate since he joined the Trump campaign and helped Trump defeat Democrat Hillary Clinton in the 2016 presidential election. News that he is to testify in the Russia probe comes after a public fallout between Bannon and Trump over the new book by Michael Wolff "Fire and Fury: Inside the Trump White House". The book paints Trump as disengaged, ill-informed and unstable. In the book, Bannon is quoted as saying a pre-election meeting involving Trump's eldest son Donald Jr. and a Kremlin-linked Russian lawyer was "treasonous." Trump replied to Bannon’s comments by saying Bannon had "lost his mind" and branded him "Sloppy Steve" on Twitter. The president has trashed the book as "fake" and its author as "totally discredited author" and has sought to defend himself as a "very stable genius." Bannon later attempted to walk back from the remarks, saying that "Donald Trump Jr. is both a patriot and a good man," but the closest he came to an apology was regretting the timing of his response. Bannon’s comments in the book helped fuel calls for him to testify in Congress about the June 2016 meeting at Trump Tower that included a Russian lawyer and Trump associates, which has been a focus for investigators looking into Russia and the election, noted Reuters. Aides to the committee’s leaders declined comment. The intelligence panel’s practice is not to discuss specific witnesses or its schedule except for public hearings. Some Republicans in Congress have been saying they expect the House Intelligence probe and other congressional investigations to wrap up quickly. Democrats have been disputing this, saying there is much work remaining to determine whether Russia attempted to influence the election on Trump’s behalf or whether Trump colluded with the Russians. Moscow denies trying to meddle, and Trump dismisses talk of collusion.